One hundred twenty-one years after their revival, the Olympic Games are by far the greatest global festival. Alternating, summer and winter celebrations take place every four years. Several million spectators are willing to pay a lot of money for tickets in order to witness this event first hand. The “TV-nation” is estimated to reach up to four billions. Competitions of the world’s best athletes form the heart of the Games. But it is the conjunction of the elite sports with culture and education that elevates Olympism to a philosophy of life. With the ideal of a unification of body and mind, the Olympic movement is in line with the ancient tradition of the Olympic Games in Greece. This fascinating adventure is mostly due to one single man: the Frenchman Pierre Frédy, Baron de Coubertin, who – despite all resistance – managed to passionately and persuasively press home his revolutionary idea. His contributions, however, were not acknowledged until after his death in 1937. Multiple stamps edited in nearly 80 countries constitute important documents. Neither the British Queen nor the founder of the International Committee of the Red Cross, Henry Dunant, were portrayed as often as Coubertin. The most beautiful and most valuable stamps depicting Coubertin are presented in this book. 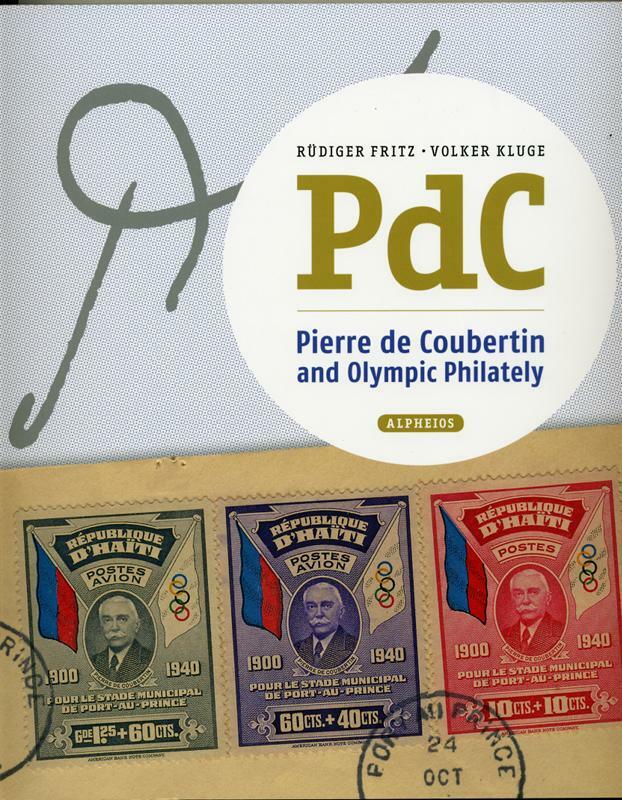 Also included are other, partly unpublished philatelic products and documents dealing with famous athletes, Coubertin’s colleagues, the period itself and the protagonists involved.